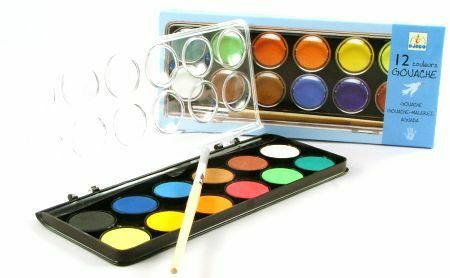 Djeco Water Colour Paints are a set of twelve multicoloured paints and one brush all set in a beautiful shiny plastic case. The lid, when it is opened, has small indentations which form a great place to mix paints for your wonderful creations. This is a lovely affordable set which has vibrant fresh colours. We like this because: "Lovely little set highly recommended."